The entire team at the Novotel Marne La Vallée Noisy hotel will be delighted to welcome you during your stay. Ideally located halfway between the capital and Disneyland® Paris, we look forward to welcoming you to our hotel. See you soon! For a business trip or a family getaway, stay in the comfort of a 4-star hotel in the Novotel Marne la Vallée Noisy le Grand. Come and discover our 12 fully equipped meeting rooms, our modern restaurant as well as our lively, renovated GourmetBar area. Secure and covered parking onsite (subject to availability). Located 10min walk from the RER A, you will be in the heart of Paris in 20 minutes. Spacious, contemporary in design, and adaptable, the Novotel room is truly a place for living, perfect for all your needs. 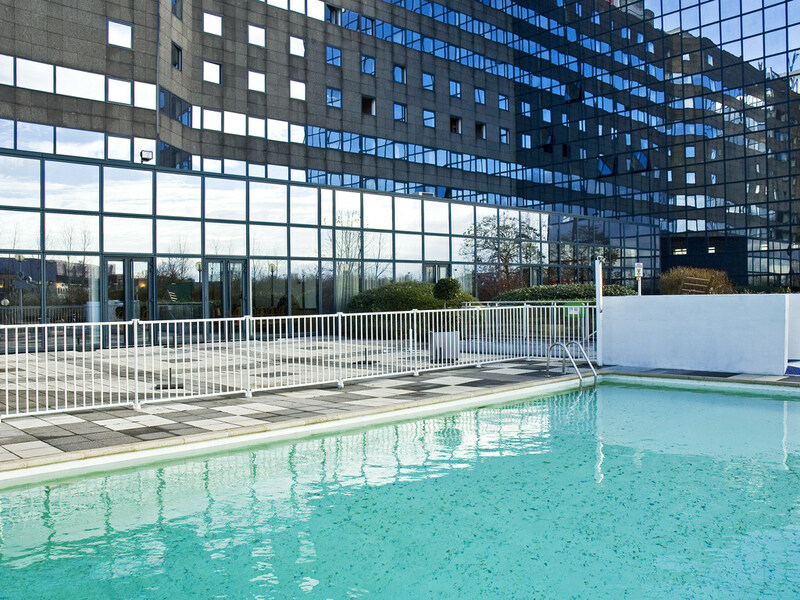 The Novotel Marne la Vallée Noisy le Grand hotel offers 2 types of room measuring 269 sq. ft. (25 m²): Superior and Executive. Each room has all the necessary facilities, combining modern decor, ergonomics and high-tech equipment. It's all in the name! In our GourmetBar, you enjoy a simple, authentic universal or local cuisine. Our ingredients are local products... it's better for the taste buds and for the planet.